Does your company struggle with liquidity issues? If so, experts say there’s a good chance you need to spend more time on financial forecasting. Many argue there’s a strong causal relationship between accurately planning your finances and enjoying a healthy level of cash flow. So what’s the difference between financial forecasting – which almost every company does – and effective financial forecasting, which considerably fewer companies get right? Here’s some wisdom from a few seasoned practitioners about what the latter involves. “The metrics that are used to drive the forecast should be the same metrics that senior management uses to monitor ongoing performance and the same metrics that business unit managers are held responsible for managing,” Meshginpoosh said in an interview with sbonline.com. So, if your company incentivises your staff to sell with higher margins, then your financial forecasting should include anticipations about margins. If you’re trying to drive customer retention, make this a factor in your financial forecasting. Lynch’s point is a salient one. 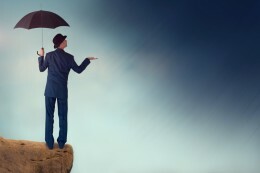 If the sales and marketing team is working on the assumption that the market is robust and willing, while the finance department is working on the belief that consumers are losing confidence and retreating, there will be a strategic disconnect between the two, leading to inaccurate forecasting and conflict later in the financial year. 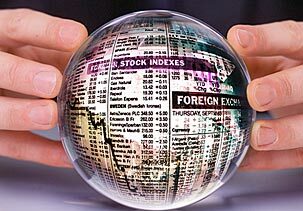 Financial forecasting is an ongoing process which involves frequent reflection and adjustment. This year’s economic performance in South Africa is a perfect example of how difficult it is to predict exactly where trends will take your company. Economic growth has been markedly lower than expected, and businesses have had to regroup and pare down their sales expectations. Do this activity often to ensure your forecast remains relevant. 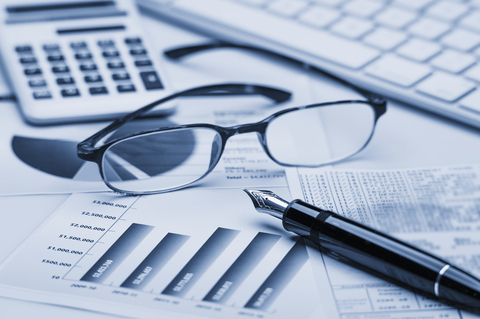 If your company needs assistance in developing effective financial forecasts, contact The Finance Team. Our associates are qualified, experienced professionals who can provide your company with the level of expertise for the time that you need it and no more. The silly season is over and as we all recover from a few seasonal indulgences, it’s not uncommon to resolve to do better in the upcoming year. We set goals to spend more time in the areas where it matters most; some of us want to be fitter, others want to work harder, spend less or make more. Our businesses go through the same process, but for the latter, it’s not in the form of new year’s resolutions, it comes in the form of a financial forecast. Business writer and entrepreneur Eric Parker describes financial forecasts or financial projections as a set of pro-forma financial documents – usually consisting of an income statement, a balance sheet and a cash flow statement – which projects the expected performance of the business over a specific period. When setting up your financial forecasts for the year ahead, the projections should be as detailed and accurate as possible, says Parker, and take seasonal fluctuations and the impact of holidays into account. The income statement. While an income statement usually reflects the financial performance of a company at the end of a period, this income statement will outline the expected performance of the company looking forward over the next year. It will include the expected revenues (or income from turnover) of the company, the expected expenses of the company and the net result that would be derived when comparing revenues with expenses. The balance sheet. The balance sheet is also referred to as the statement of financial position. It shows where the “balance” of assets lies. In your financial forecast, consider first the current (or short term) assets that the company will have over the next year. This includes things such as how much cash the company will have on hand, what short term investments it is likely to make use of, and what inventory will be available. Then, look at the fixed or long term assets that will be carried over from preceding years. These include things such as equipment and property owned by the company. The assets, or the things that are used to operate the company, must equal the company’s financial obligations (liabilities) plus the equity of the company. The cash flow statement. This refers to how much money you expect will move in and out of the business. It isn’t necessarily linked to the profitability of the business, or to the level of sales you expect. Watch out for times of the month or year when large payments are due. Will your cash flow be able to sustain the payments you will need to make? Even a profitable company can have a negative cash flow if a lack of planning means there is not sufficient cash on hand. Remember at this stage you’re making a prediction about the future, so it’s up to you to pre-empt times that greater cash amounts might be needed. Try to think past the obvious predictions such as month end to other times where extra cash might be needed, such as planned marketing drives for new products, legal fees or the purchase of new equipment. A realistic, detailed projection involving an income statement, balance sheet and cash flow statement will provide a solid foundation for your plans for the new year. From there, your company’s “new year’s resolutions” are more likely to become a reality. If your company needs direction in putting together accurate financial forecasts, The Finance Team can assist. Our team of qualified, experienced finance professionals can provide your company with ad hoc or ongoing financial insight, according to your business’s needs.